Interlocking concrete blocks are probably our most flexible precast retaining wall system. 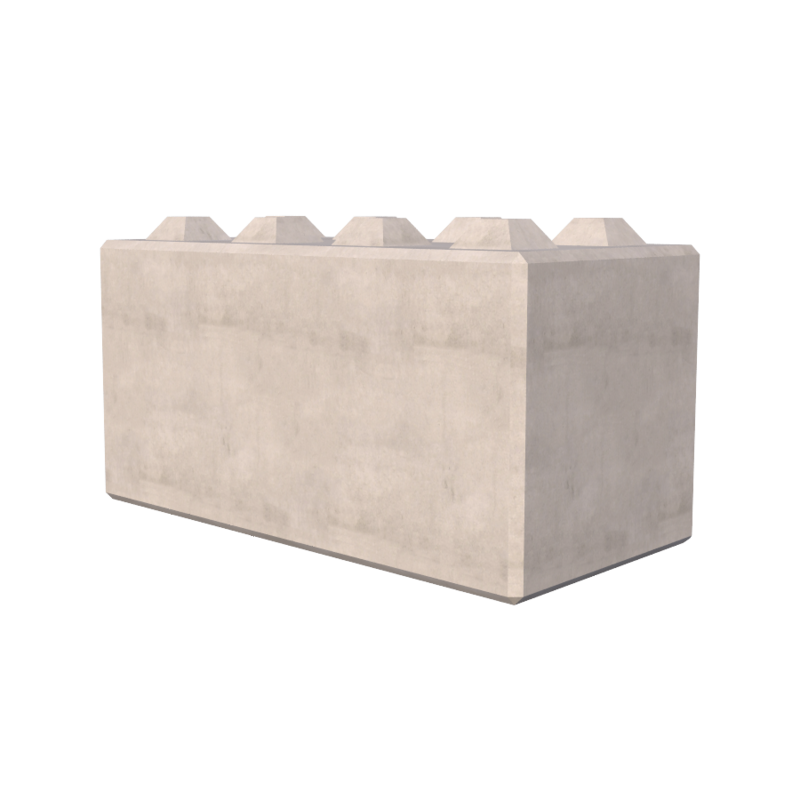 Available with half and three-quarter length options, interlocking concrete blocks enable you to construct walls and storage bays of almost any size. 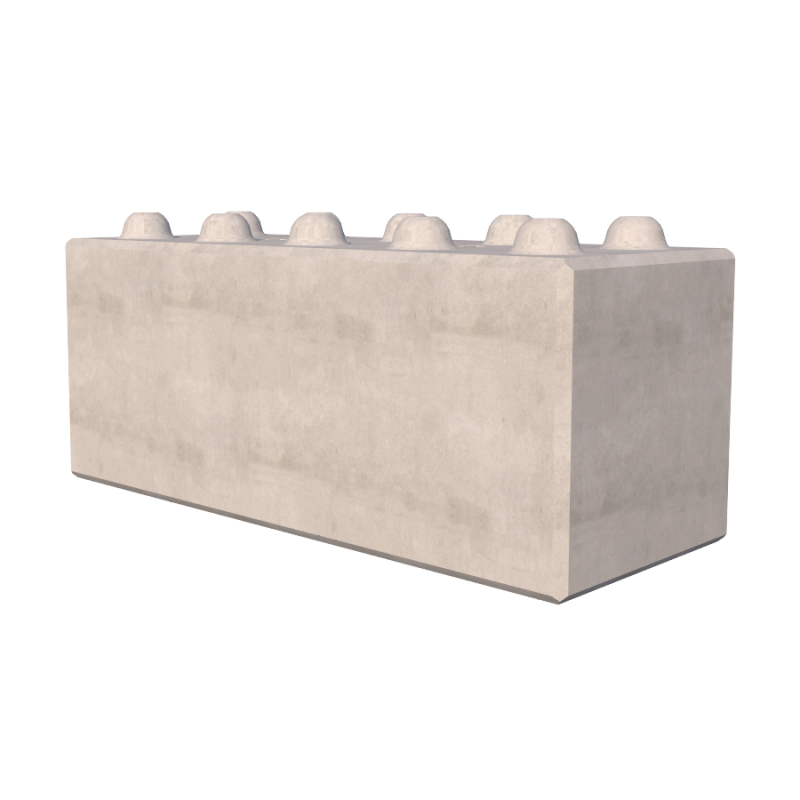 The concrete blocks simple connection design ensures they are quick, easy and safe to install. We have two size options available,1500mm x 600mm x 600m and 1600mm x 800mm x 800mm. If you are not sure what size would best suit your project, speak to our product experts, who will be able to advise on the most cost-effective product. If the precast units are being used to construct material storage bays, we have additional block profiles available to add to the versatility of this product. When using the standard blocks, there is a maximum height that an 800mm or 600mm will be able to retain the material; this height will vary, depending on the material density. 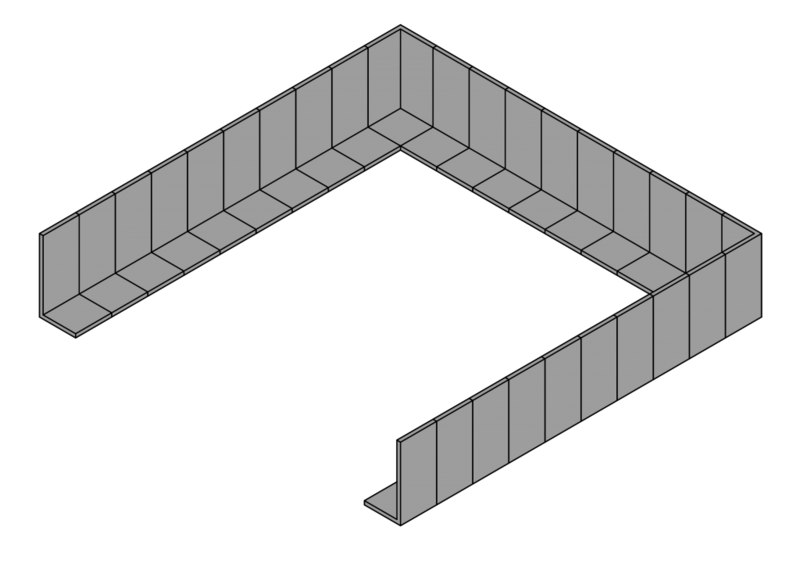 For situations where you need to create a higher wall, or if the material will be heaped above the top of the wall, the bottom block(s) can be rotated through 90o for additional stability. In this situation, where dividing walls are required, we have a specific block profile which tapers on both faces to enable material to flow of the wider base, while still creating a stable base for the retaining wall. Interlocking concrete blocks also have excellent fire resistance properties. The thickness of the blocks and concrete strength, will provide an effective fire-break or containment of fire if the need arises. 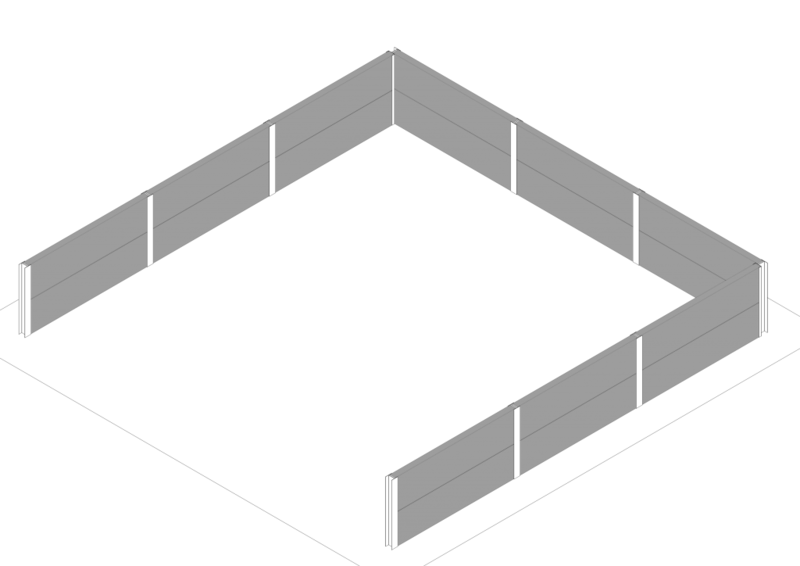 If being used as a fire or blast wall, additional consideration is needed for the sealing of the joints between the blocks. We can also supply suitable products for this. The interlocking concrete blocks can also be used in a number of other applications, in addition to creating retaining walls. Due to the weight of the blocks, they can be a cost-effective concrete barrier for helping to protect vacant properties. The concrete blocks are also used as an alternative to our ballast and kentledge blocks for providing a counterweight to hoarding and scaffolding. As with all our products, we offer a design and installation service for the interlocking concrete blocks for the construction of retaining walls, please speak to the contracts team for more information.